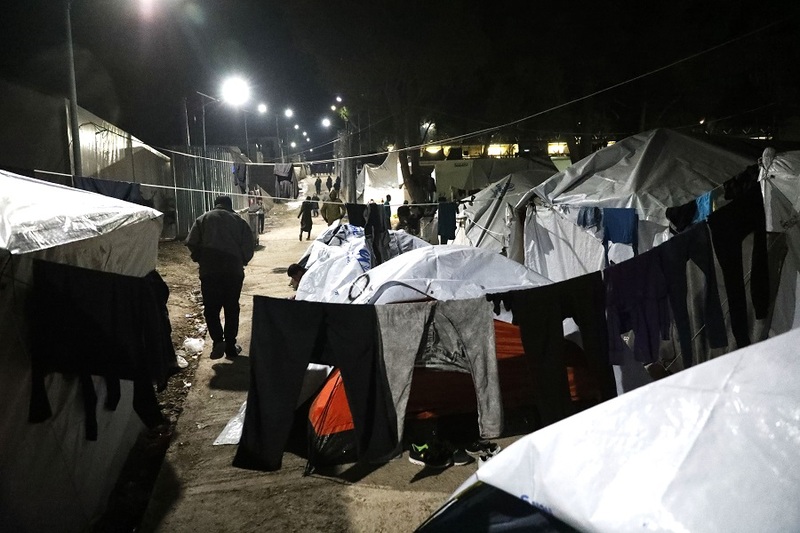 Since the EU-Turkey Statement came into effect, the Greek islands of Lesvos, Chios, Samos, Kos and Leros have been transformed into places of confinement for asylum seekers. Greece, with the support of EU leaders, has put in place a policy to prevent people from leaving the islands to the mainland as part of this deal agreed by all 28 EU states in March 2016. As a result, more than 13,500 women, men and children have been trapped on these islands in harsh conditions, including in facilities currently hosting 7,500 more people than they were built for. The consequences are dramatic. 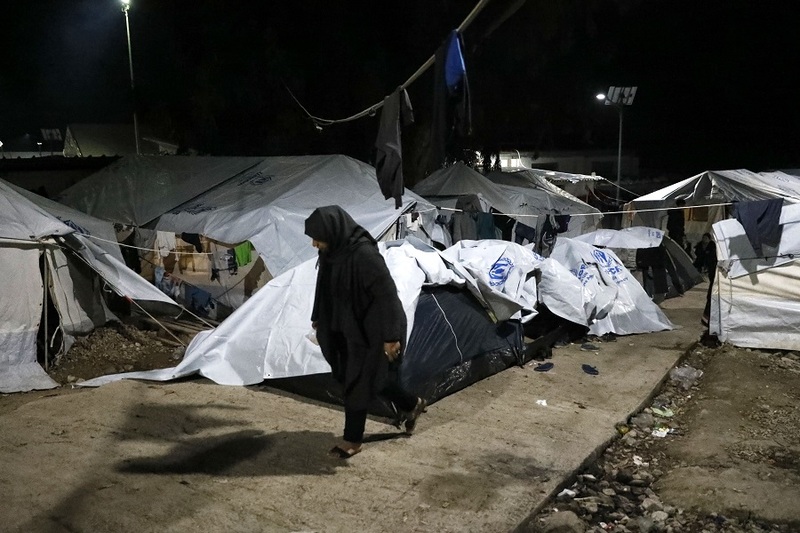 People are forced to stay in filthy and overcrowded camps, with little access to proper shelter, food, water, sanitation, health care, as well as adequate and timely asylum procedures and protection. 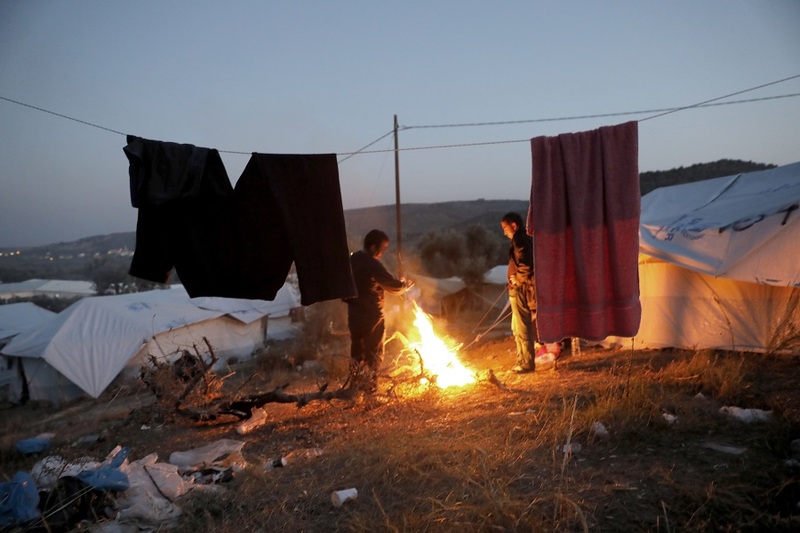 Many have no other choice but to sleep in summer tents or on the ground, and the temperatures continue to drop to what may soon be below freezing. Camping tents, designed to accommodate not more than two people, are now holding families of up to seven. 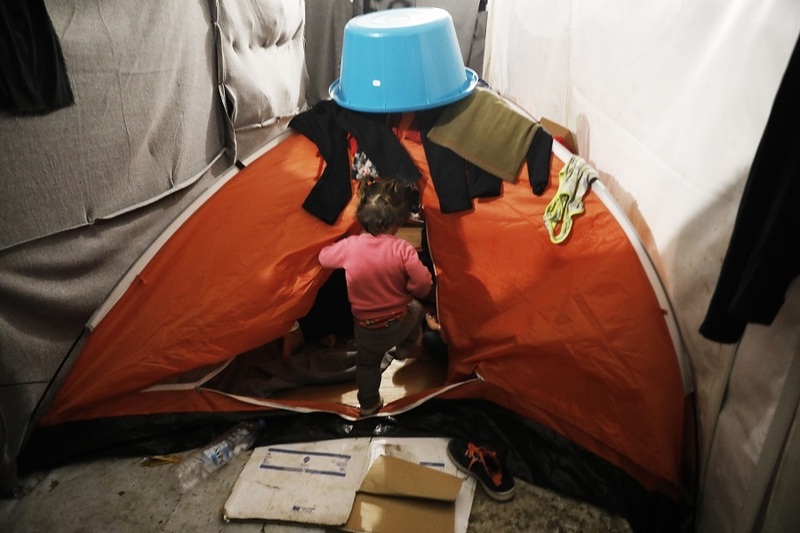 Dozens of people, including very young children, are crammed into these tents with only a canvas cloth separating one family from another.The living conditions are particularly harsh for pregnant women to endure, and place them and their babies’ health at risk. Accessing water, sanitation and food is particularly difficult for the many people with physical disabilities—for example, people using wheelchairs simply cannot reach these basic services. Single women in the hotspots report harassment by some of the men. Some women are forced to share tents and containers with unrelated men, putting their privacy and safety at risk. These conditions have a devastating impact on the long-term well-being of people trapped there. In a letter to the Greek prime minister sent in October 2017, Oxfam has joined 18 other NGOs to challenge the Greek government and EU to do better before winter comes. There is no time to lose. With winter here, thousands of asylum seekers will face freezing temperatures and worsening living conditions. But the Greek government, with the support of other EU leaders, can change this. They can all ensure that no one sleeps in the cold this winter. Since the campaign started, the Greek government has announced they would move 5,000 from the islands to the mainland. This is good news and means people's voices are being heard! Now this containment policy needs to be lifted so this situation doesn't happen again. Please tell Greece’s Prime Minister and other European leaders to end this inhumane containment and give these asylum seekers somewhere safe and warm on the Greek mainland.